ANNOUNCING THE LAUNCH OF DOMINO’S QUATTRO FORMAGGI BURST! Till date, Domino’s Cheese Burst Pizza has been the lifeline of millions of foodies around the globe. It has satisfied the cheese cravings of all the pizza lovers for a long period now. To add a “BOSS” to the family of cheesy crusts, Domino’s has finally announced the launch of the yummiest Pizza I’ve ever had. The new Quattro Formaggi burst is here to win your hearts and tummies! I tried this scrumptious crust pizza yesterday, out of curiosity and was stunned at the flavours that engulfed my mouth. You can order the Quattro Formaggi crust by adding just ₹ 99/- to the price of any medium pizza you like. The crust has superb flavour of gouda cheese and the freshness of ricotta cheese, layered with the melting Mozzarella and Cheddar that have always been a part of the delightful range (Cheese burst). The special gouda adds a rich twist to the pizza, white the ricotta adds mild saltiness which balances the overall flavours of the Quattro Formaggi Cheese Pizza. To sum up, the Quattro Formaggi Burst pizza is very cheesy but not overboard. It is very smooth and easy on the tummy and pretty filling too. Worth every penny you additionally pay for it. PIZZA TEAMED UP WITH: I added this crust to my favorite pizza, the grand Chicken Dominator and I cannot describe the taste in words, it was so heavenly! Hurry! Order it now and experience the heavenly cheese experience for yourself. 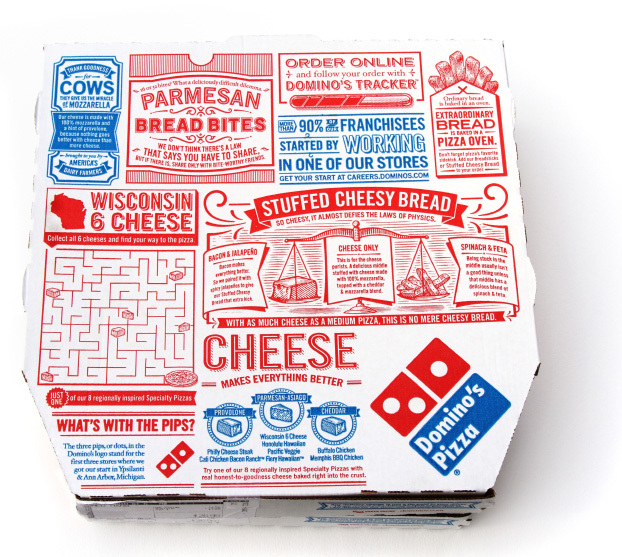 You can also avail discounts on Dominos online ordering by applying coupons and deals.